Andy Carroll. 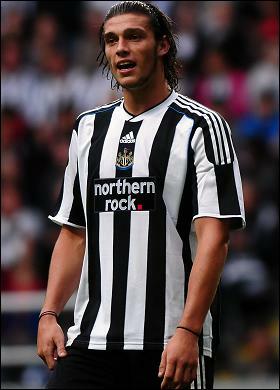 The Newcastle striker eveyone seems to want. This was a huge signing for Aston Villa, as it set a record-high transfer fee for the club. Villa is currently sitting at 13th place, which isn’t too great for their standards. They are only sitting 6 points atop of relegation, which forced this move. Darren Bent brings in an impressive resume. In my opinion, he is a top five striker in the EPL, but is always overlooked. Bent has averaged about 17-18 goals per season (includes all competitions) since 2002-03 season. Aston Villa has only scored 27 goals total thus far in all Premier League games, which is awful since they have played 24 games already. They have also given up 40 goals. Villa will be looking for Bent to carry the scoring load as they look to avoid relegation. Great signing. Villa got the goal-scorer they needed. Congrats to Liverpool for making Carroll the 7th most expensive player in the Premier League (also, the most expensive Englishman….ever) when he has no business being top 10 on that list. Why Liverpool paid so much for Carroll still confuses me? This is Carroll’s first season in the Premier league and hasn’t even finished an entire season yet. Yes, he is very talented and young. He is known as one of the top aerial attackers in the EPL, but to offer that much money is ridiculous. He still needs to improve his footwork. Can anyone sense the feeling of the next Peter Crouch? I can understand the sense of urgency with Torres leaving for Chelsea, but this signing wouldn’t solve the problems occurring within Liverpool’s team. Also, Liverpool just signed the Uruguayan striker, Suarez last week. What’s even sadder is Carroll’s transfer free is more than World Cup winner, David Villa’s. After Villa’s performance in the World Cup, he earned a £34.2 million transfer fee to Barcelona. Carroll hasn’t shown any consistency in the EPL, yet he’s worth more. In my opinion, Liverpool needs a stronger midfield in order to compete with the big boys. Their midfield has been in disarray since Javier Mascherano left. I’m sorry, but Lucas just isn’t cutting it. The midfield has been a weak spot, as Steven Gerrard is left to do all the dirty work. 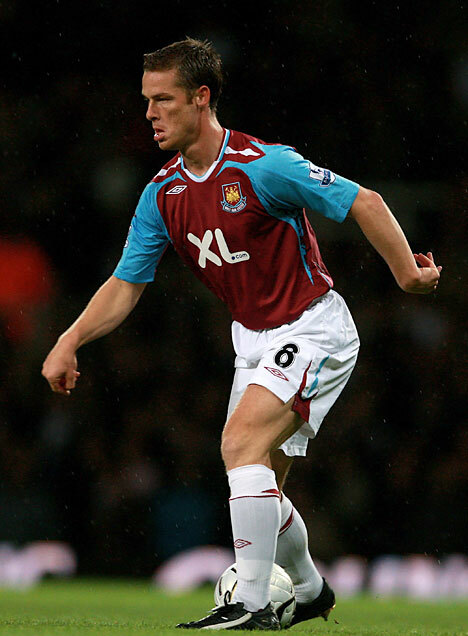 I expected Liverpool would make a run after West Ham’s Scott Parker, but I guess not. Liverpool is also lacking effective wingers. Joe Cole’s been hampered by injuries and inconsistencies to make a significant impact. Also, Raul Meireles doesn’t have the accuracy to serve pin-point crosses on a consistent basis. Carroll is a good upcoming striker, but I feel as if the midfield should have been addressed after the signing of Suarez. Overpaid for an unproven young talent. I think they should have addressed the midfield. Another move for Liverpool…I wonder why? It’s been a disappointing season for Liverpool, as they currently sit at 7th. They seem to be looking outside the top 4 at the moment, which signals the alarm for drastic moves. This season, goals have been hard to come by as Liverpool has only netted 31 goals this season, which is no where near the leaders ,Manchester United (51). Torres has been inconsistent this season (9 goals) as he is still trying to get back into form. On the other hand, Suarez has been a proven scorer. He scored 35 goals last season in the Dutch League, which is unreal. He also helped lead Uruguay to 4th place at the FIFA World Cup in South Africa, netting 3 goals. Suarez is a deadly striker and can score from anywhere around the 18 yard box. His presence will be need if Liverpool looks to make a late run for the top 4. This signing was perfect timing as Torres decided to take his services to Stanford Bridge. The striker they needed since Torres was out of form (now is gone). Looks like you can finally put the rumors of Torres leaving to rest, as he completed his deal to leave Anfield for rivals Chelsea. This deal really came out of nowhere, and I wasn’t expecting this at all. I didn’t expect to see him joining the Blues since they are already have with Drogba and Anelka, but both of them are having sub-par seasons compared to last year, which is probably why Chelsea pulled the trigger. Torres has the abilities to be the best striker in the EPL, as he possesses the great touch to go along with the speed. He has had problems staying in form which has resulted to an awful World Cup and a slow start to this year’s campaign. Perhaps a change of scenery could help. Even though this signing puzzles me with the number of good strikers Chelsea already have across their roster, if Torres can regain form then Chelsea’s offensive attack could be unfair. Overpaid for a player they didn’t need, who has been out of form for the past year. Statistically, Chelsea has the best defense in the EPL, as they have only given up a league-low 19 goals thus far. The downside is that those goals were allowed in many crucial moments. There have been many times this season in which Chelsea has given up goals in the closing minutes which has resulted in ties or losses, when they should have been victories. Luiz has been an elite defender in the Portuguese league and will make an impact right away. Look for him to make an excellent paring alongside Terry. Chelsea needed a reliable center back and they got one. Note: Transfer fees are estimates due to different reports and changes. 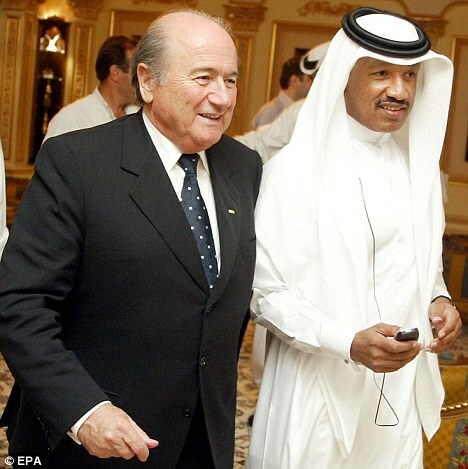 Qatar beats out the United States to host the 2022 World Cup. What a joke! As a huge soccer fan, I am really disappointed in FIFA’s decision. Come on! Are you serious!? How is FIFA going to choose a sandy desert that is not even the size of Connecticut with no soccer history to host the cup? I don’t even think Qatar has ever qualified for a World Cup to begin with. I cannot see why Qatar was picked ahead of, not only the United States but over Australia, South Korea and Japan. The United States already has the facilities to host the World Cup this year if they wanted while Qatar is going to have to take the next 12 years just to prepare. This is dumbfounding. I understand that the Middle East has never hosted a World Cup which makes this historic, but do people really want to travel to the Middle East is my main concern. I can tell you that I have no plans on going to Qatar. I also think weather can have a serious impact on this cup since it will be played in 100 plus degree weather. As you can tell, I am really upset with FIFA’s decision (no disrespect to the Middle Eastern nations). This is a huge blow to US Soccer. What are your thoughts? Are you going to Qatar to watch the 2022 World Cup? EPL Players “not named Rooney, Torres or Drogba” to watch. After coming onto the scene last season, Bale is beginning to establish himself into the “best winger” conversations. Bale was been able to build upon a strong previous season as Tottenham finally qualified for the Champions League. This Welsh Wizard, at times, has been the center focus for the Spurs’ offensive attack. Bale has blazing speed to take players off the dribble. The combination with his accurate crossing makes him a dangerous winger. Not only can Bale find his teammates, he also has the skill to take matters into his own hands. On many occasions, Bale has scored vital goals for his team. Not a lot of players can tell people they scored a hat-trick at the San Siro. 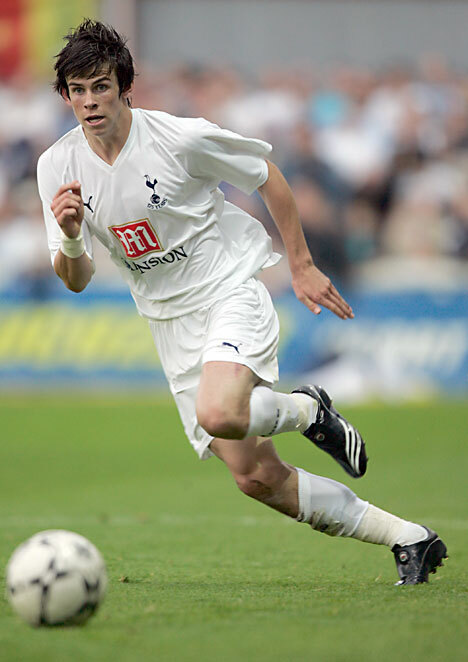 If Tottenham is going to qualify for the Champions League again Bale is going to have a huge say in it. The Swedish forward is finally proving to the fans on why he was brought to Bolton. In the prior two seasons, Elmander was only able to put up eight goals in 45 starts, but this season, Elmander already has eight goals in 15 starts. He has already tallied just as many goals as he did in the previous two seasons combined. Elmander is currently tied for fourth in most goals scored in the EPL and has Bolton sitting at 6th place on the standings. 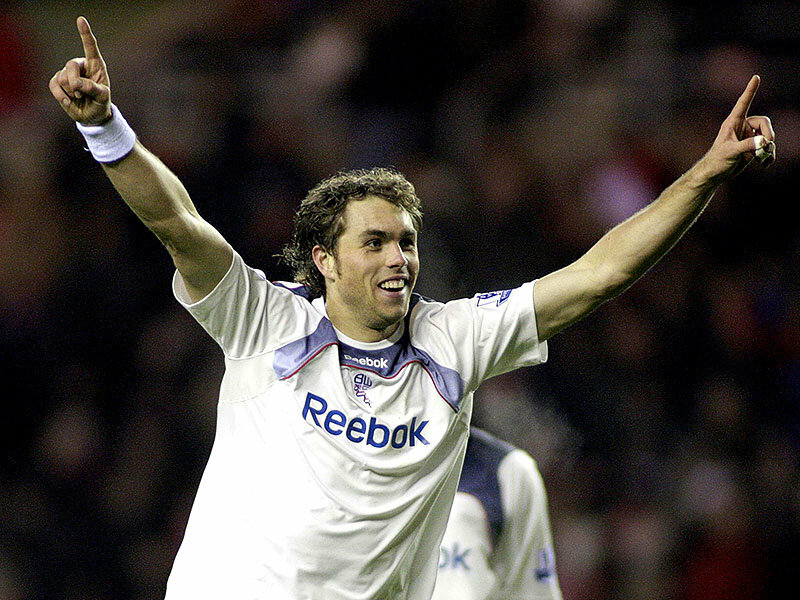 Look for Elmander to continue having goal scoring opportunities as his partnering striker Kevin Davies receives all the attention. Darren Bent has been one of the most consistent goal scorers in the EPL. Bent has averaged nearly 17-18 goals per season (includes all competitions) since the 2002–2003 season. Bent scored 24 goals for Sunderland last season and isn’t even close to stopping. Bent currently has eight goals in 11 appearances. His knack of scoring goals in big games is key to Sunderland’s success. The combinations of Bent, Fuller and Gyan can make Sunderland a dangerous team is years to come. Carroll’s transition from the Championship division to the EPL has been tremendous. Carroll is making his stamp onto the league as he has tallied nine goals in 15 appearances this season. He is very deadly in the box, as he has the knack to getting at the bottom end of crosses. Carroll has the strength to hold off his opposition and is superb at holding onto the ball. His ability to keep possession gives his teammates time to push-up the field. Carroll is one of England’s bright, young talents and has finally gained attention to the English National soccer team. Parker has been the MVP for West Ham thus far as he tries to save his club from relegation. Parker is the anchor of the West Ham midfield and has the abilities to change an opponents’ offensive game plan. Parker uses his aggressive nature and tough tackling to make his presence known. He also scores goals and sets up his teammates. He basically does it all. West Ham is currently in dead last of the EPL and is going to need a lot of help other than Parker if they want to avoid relegation. EPL Players "not named Rooney, Torres or Drogba" to watch. Have you ever thought about what goes through a players’ mind during a big game? Who and what are they playing for? Is it for money, their country or for themselves? I never really gave this enough thought until the past couple of days. One can only imagine the different thoughts racing through an athletes’ head during a big moment. About two weeks ago, me being an avid Cowboys fan, expressed my frustrations for their disappointing season, then a co-worker uttered “It’s just a game.” At that time I agreed with her, but if she were to say that to me again, I would have to disagree. Sports can be more complicated than just a game. It is in fact much bigger than that. Last week, I made a trip to my alma mater in Lubbock, Texas, to attend the Texas Tech v. Missouri football game in which the Red Raiders sported their “Wounded Warrior” jerseys. For all those that aren’t aware of what the Wounded Warrior Project is, it is a non-profit organization that provides programs and services for injured service members and their families. Texas Tech and Under Armour partnered with the Wound Warrior Project to support our country’s military and public safety heroes. It allowed the Texas Tech football players time to spend with injured soldiers prior to the game. This experience changed the perspective of football to the players. You may have not seen it from the stands, but it was there emotionally. Texas Tech running back, Baron Batch, described this as a moment he will never forget. Like most of the season, the Red Raiders found themselves in another 14-point deficit early in the first quarter. With the crowd silenced and dejection written all over the players’ faces, the Red Raiders desperately needed a spark. “I remember walking back to the offensive bench after going three and out, and looking up to see the soldiers that were honorary captains standing behind the bench cheering on the defense and encouraging the other offensive players. I sat down and took a sip of water before turning back to look at the soldiers. I remember seeing that they were missing arms and legs; that they were scarred and burned, and I saw their sacrifice. I’m not an emotional person but this is an image that I will never forget. I made eye contact with one of the soldiers, and all he said to me was “don’t quit, keep fighting”. I became teary eyed immediately. At that exact moment I not only realized the magnitude of what the game meant, but I realized exactly what it means to say “ We wont quit” because that was my response,” said Batch. Texas Tech was then able to rally and upset Missouri 24-17 that night and those inspiring words from the soldiers were the main reasons why. The players recalled that the words “Don’t quit, keep fighting” raced through their heads throughout the entire game. After seeing the wounded soldiers cheer on the Red Raiders, the team realized that quitting was no longer something that the team could do. The Texas Tech v. Missouri football game on Nov. 6, 2010 was more than just a game for the Red Raiders. After the game and a long night of celebrating, I came home and watched an ESPN 30 for 30 documentary called “The Two Escobars” and this got me thinking. It made me realize that there are much more underlying, complex meanings when it comes to sports. The Two Escobars is a documentary film which depicts the rise and fall of Colombian soccer and the fear of losing something worth more than a game. The movie revolves around Andres Escobar, a star defender for the Colombian National soccer team, and Pablo Escobar, the kingpin of the Medellin Cartel. The two have no relation by surname, but do share a connection with each other. Andres was the star of a club soccer team, Atletico Nacional, owned by Pablo, and Pablo used that soccer team to launder in millions of drug dollars. It then sparked other drug dealers to own club soccer teams so they could launder money as well. This revolutionized Colombian soccer and began being called “Narco-soccer.” With Colombian soccer being funded by dirty money, they were able to field one of the best soccer squads in the world at the time. Pablo was known as a savior to the lower-class Colombian citizens. He did things the Colombian government couldn’t. He built homes for Colombian citizens that were living in dumps and also built soccer fields in poor areas. Pablo created Colombia’s worldwide reputation for drugs, murder and corruption; yet he was also known as a real-life “Robin Hood.” Once the Colombian government realized how dangerous and corrupt their country had become due to Pablo’s drug trafficking, they placed their undivided attention on stopping the cartel. Pablo was finally shot and killed in 1993. With Colombia’s reputation already shattered, Andres and his Colombian teammates looked to use the 1994 World Cup to rewrite its reputation with an outstanding performance. The Colombians came into the 94′ World Cup as one of the favorites, but were up-ended by Romania in their first match. This upset many Colombians, especially the drug cartel because tons of money was being gambled on the Colombian soccer team. Prior to their crucial match against the United States, the Colombian players were receiving many death threats towards them and their families. The cartel did not want to lose their money. As the players walked tensely onto the pitch, you could see the fear in their eyes. They feared that this had become way more than just a game; they were potentially playing for their lives and their families. Then the unthinkable happened. Star defender, Andres Escobar, scored a tragic own goal off a deflection giving the United States a 2-1 victory. This shocked the entire Colombian nation as Colombia was eliminated in the group stages. A few days after returning to Colombia, Andres was shot and killed by drug-related members. Many believe his own goal was the reason for his death, as many drug dealers had lost money due to the defeat. Others say Pablo is to blame, as he is the reason Colombia had become such a violent country. Some even say Andres would still be alive today if Pablo was alive, but we will never know. Andres Escobar lies on the pitch after his costly own goal. No matter how much media and television coverage, we are unable to get a true understanding of what goes through a players mind and what they are playing for. The current “big” talk of the World Cup is will FIFA implement instant replays or some kind of goal-line technology to improve referee errors, I don’t know about y’all, but I have been very disappointed in this World Cup’s officiating. This is by far the worse officiated major soccer tournament I have ever seen. Even though it has been poorly officiated, I still do not believe instant replay/challenges should be implemented into soccer. I am sure many of you will disagree with me, but the beauty of soccer is the constant “non-stoppage” of play. Soccer is the only sport where there isn’t constant challenges, TV timeouts or other stoppages in play barring injuries. I don’t think stopping play for replays is the way to do it. It has been like this since soccer begun, there is no need to make changes like these. I believe there are other ways to improve refereeing. I believe we can improve refereeing for the World Cup by using more officials. There has been many complains for offsides calls this tournament, and I think we can use a total of four linesmen instead of two. This way, each linesmen wouldn’t have to run the length of the field and each of them should be in position to make the correct calls. The reason why these calls were missed is because the sideline flags men were out of position. This should never happen at the World Cup, but miscalls happen for a reason. Not only can adding more sideline flags men improve goal-line calls but also the use of sensors on the goal-line. If hockey can use them, then why not soccer. This will surely help detect if the ball crosses over the line. And please don’t tell me this can’t be done…..it’s 2010, hell we probably already have the cure to AIDS behind those locked doors. The point of this is to express my opinions towards using replay in soccer. I am against all replays. Yes, some calls are missed but that’s what makes this sport special. I also think teams need to stop using this bad calls as an excuse. Great teams overcome adversity. Not everyone watches world cup soccer in the US just because it’s not that popular. However, if you were to ask anyone what happened against Slovenia at the end, it would get people in a frenzy. In the 86th minute after the USA made a spectacular comeback to tie the game 2-2, Landon Donovan crossed a free kick in where Maurice Edu tapped in the go ahead goal. However, referee Koman Coulibaly disallowed the goal after a phantom call. Watching the replay, everyone and their parents could see clearly that Slovenian players were bear-hugging US players to the ground. If anything, people felt there should have been a penalty kick. While it almost cost the US a spot in the knockout stages, people seemed to move on past it as soccer has shrugged off suggestions of technology as it interferes with the purity of soccer. However, this wasn’t the last example we can use. On this past Sunday, 2 calls yet again defied human logic and ended up costing 2 teams the chance to advance. In the early game, England was making a comeback on Germany and had the game close at 1-2. Frank Lampard ripped a beautiful shot that hit the top post and bounced a yard in the goal line before the goalie grabbed it and acted like nothing happen. Everyone saw this except for the refs involved who the let the game play on. What would have been the equalizer sparked England to go into sever attack mode and made them completely susceptible to the counter-attack which is how Germany scored their last 2 goals to destroy England 4-1. Later that afternoon, Mexico encountered the same fate as England. In their game, they were playing Argentina and Messi floated a pass to Carlos Tevez who was offsides by a good 3 yards. The refs discussed it and still didn’t overturn it. Would these correct calls of made the difference? It’s hard to say. Mexico and England were clearly out-played. However, something has to be done. I’m fine with soccer not relying on technology because it would slow the game down severely. Hell, they don’t even stop the clock; can you imagine if they had to look at replays? It would destroy soccer as we know it. It’s perfect for stop-and-go sport like football, but it has no place on the pitch. The sport is just as old as baseball which rarely relies on replay. I’m all for adding extra refs and in fact Josh and I realized we had the same idea this evening when we both discussed our next posts on xbox live. 2 sideline refs per side would make life easier for the refs and would let them focus on the game more. 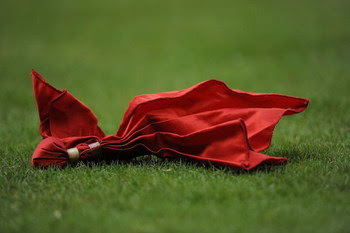 I originally thought of having a goal line ref, but a stray shot hitting a ref could spell disaster. Something has to be done and adding extra refs would preserve the historical aspect and also make it more efficient. To error is human after all.